When ESPN said that they was going to be running the game on three different channels. I thought that was a little odd. I have to say that both the mega cast that are showing more then the game is better then the regular. 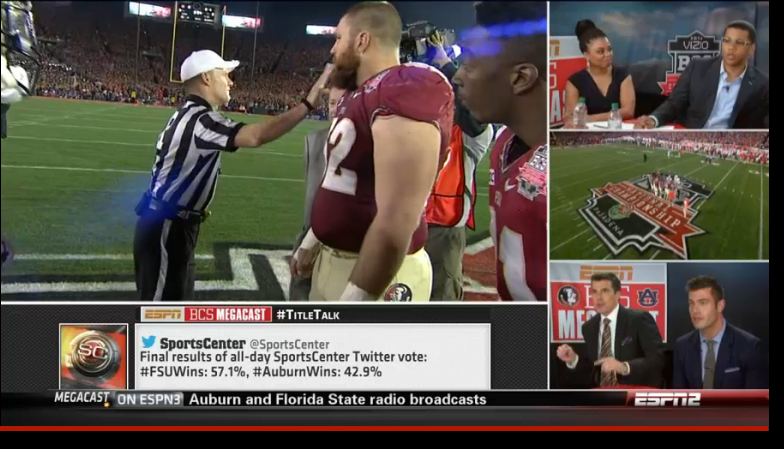 ESPN2 has basically the House Party with lots of people stopping by. While, ESN has the coaches talking about the plays as they happen. That's pretty cool for all the High School coaches out there. I mean, also the people that like to break down things.